At the opening day of the European Week of Regions and Cities, Commissioner for Regional Policy Corina Crețu, presented the conclusions of the long-awaited 7th Cohesion Report. It provides more a state of play of EU economic, social and territorial cohesion than clear orientations regarding the future of Cohesion Policy after 2020. The Conference of Peripheral Maritime Regions (CPMR) positively welcomes the formal statement in the report that Cohesion Policy should stay an EU-wide policy covering all regions, suggesting that no region should be left behind. On this latter point, the CPMR remains concerned that Cohesion Policy might lose its main role as a regional development policy if support to structural reforms at national level is to become a formal objectIve of the policy in the future. The CPMR welcomes the fact that specific needs of outermost regions are highlighted several times in the report. However, the CPMR regrets that there is no consideration of islands territories at all throughout the whole report. 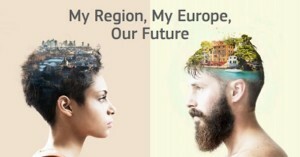 The CPMR will discuss all these key issues with its Member Regions next week during its 45th General Assembly in Helsinki, as outlined in its Technical Note ‘A future for Cohesion Policy? Avenues for reform.’ This will be a key moment for the CPRM to prepare its vision on the future of Cohesion Policy and the EU budget, to be presented in the first quarter of 2018.